This week&apos;s batch of beauty looks are much more low-key than last week&apos;s Met Gala extravaganza! It&apos;s a very mixed bag, but I&apos;m leaning toward Paris Berelc&apos;s healthy skin and and natural brows as my favourite. Paris Berelc at the 2016 City Year Los Angeles Spring Break event. Close-up of Paris Berelc at the 2016 City Year Los Angeles Spring Break event. Emma Watson at the 2016 White House Correspondents&apos; Dinner. Close-up of Emma Watson at the 2016 White House Correspondents&apos; Dinner. What I love: I missed Emma! We haven&apos;t had a red carpet pic of her since September, but she&apos;s back doing my favourite Emma thing: red lipstick, fluffy lashes and brushed-up brows. Suits her SO well, and the sprinkling of freckles makes everything cuter. The half-back lob with height at the top dresses things up, but still in a youthful, fresh way. What I&apos;d change: Nothing. Camila Alves at the 2016 Goldie&apos;s Love In For Kids event. Close-up of Camila Alves at the 2016 Goldie&apos;s Love In For Kids event. What I love: Hot pink lipstick on medium-warm skin is the best thing ever. Although with that dress (!! ), I&apos;m not sure anyone else but us is paying attention to Camila&apos;s hair and makeup. She has a great face shape and brows to wear her hair in a tight, slicked-back updo. I actually like that she left her skin a little shiny and didn&apos;t over-powder. What I&apos;d change: Nothing. Elizabeth Olsen at the 2016 New York premiere of &apos;Captain America: Civil War&apos;. Close-up of Elizabeth Olsen at the 2016 New York premiere of &apos;Captain America: Civil War&apos;. What I love: Our first of two Lizzy looks this week is kind of a modern Boho beauty, to go with her bright floral dress. She amped up the texture and waves in her hair, yet it never looks fresh from the curling iron... I love that. Also great: the subtle brownish lip tone and sheer matching blush. Don&apos;t you like how we&apos;re moving away from strong blush?? What I&apos;d change: Nothing. Elizabeth Olsen at the 2016 London premiere of &apos;Captain America: Civil War&apos;. Close-up of Elizabeth Olsen at the 2016 London premiere of &apos;Captain America: Civil War&apos;. What I love: This rich red lipstick is gorgeous on her as well. It&apos;s paired with chunky lashes, rose gold shimmer shadow all the way around the eyes, and some clever tightlining. Notice how her brows were kept soft, not dark and pencilled-in—another thing we&apos;re (hopefully!) moving away from. What I&apos;d change: This is a small detail, but it looks like there might be too much product weighing down her hair for a few inches starting from the roots. Gugu Mbatha-Raw at the 2016 White House Correspondents&apos; Dinner. Close-up of Gugu Mbatha-Raw at the 2016 White House Correspondents&apos; Dinner. What I love: Ever since the 2014 Met Gala, I&apos;ve been waiting patiently for a good hi-res close-up of Gugu. (This one&apos;s just okay... hopefully we&apos;ll get more very soon!) I just think she is the cutest, and has a great low-key beauty style. 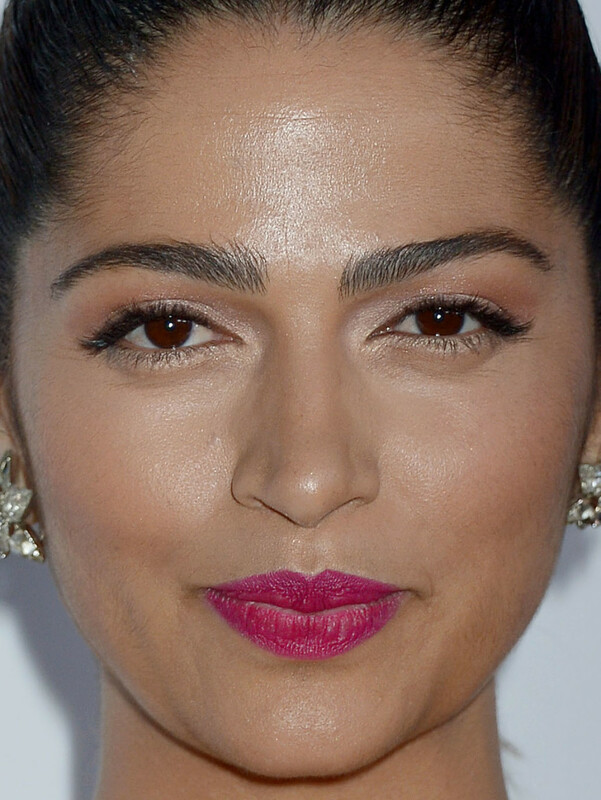 I love the sheer cool pink lip colour with rosy blush and normal lashes, no falsies. Best of all, she has the most genuine smile. What I&apos;d change: Nothing. Jennifer Lawrence at the 2016 London premiere of &apos;X-Men: Apocalypse&apos;. 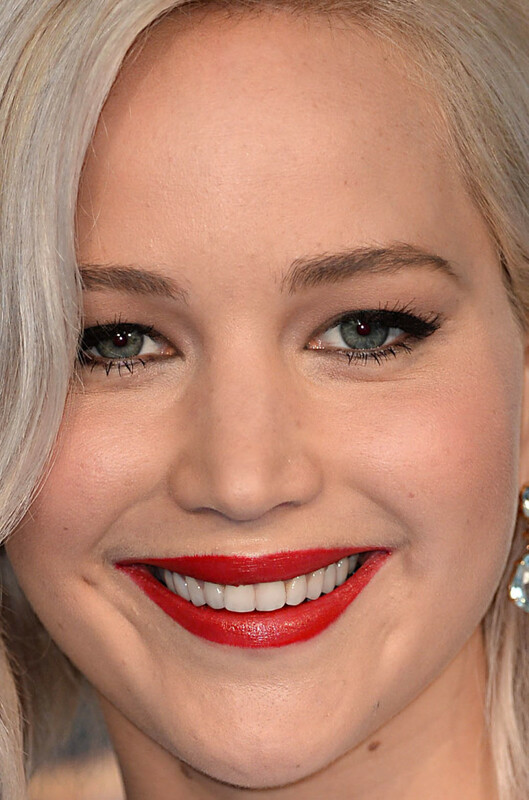 Close-up of Jennifer Lawrence at the 2016 London premiere of &apos;X-Men: Apocalypse&apos;. What I love: Jennifer looks very "done" here, but I still admire the glamorousness. She&apos;s wearing that platinum hair very well (better than Taylor Swift is doing with her new hue, I&apos;d say). It&apos;s rare to see her in a classic red lip, but I like how it pops against the matching silvery hair and dress. What I&apos;d change: I think a little more freshness to the complexion would be nice—maybe a highlight here or there, so it&apos;s not all matte. Nicole Richie at the 2016 Goldie&apos;s Love In For Kids event. Close-up of Nicole Richie at the 2016 Goldie&apos;s Love In For Kids event. What I love: Now here is a real blast from the past—2014, to be exact, was the last time Nicole was in a red carpet round-up on this blog. I was never a fan of her crazy hair colour phase, so I hope this brown, and the dress, are an indication that her old style might come back. (I LOVED Nicole&apos;s Boho years.) Her skin looks amazing, very radiant, and that peachy lip colour is my favourite. What I&apos;d change: I can live with the false lashes actually, but not these brow tails! (Why do makeup artists do that??) Also, it looks like she has hopped on the lip filler train like most of Hollywood right now. The top one is lumpy! Georgia May Jagger at the 2016 Delete Blood Cancer Gala. Close-up of Georgia May Jagger at the 2016 Delete Blood Cancer Gala. What I love: So here&apos;s something you don&apos;t see every day: fuchsia eyeshadow from lash lines to brows! Georgia, being a model, obviously pulls it off better than us mere mortals—but I still appreciate that she translated a runway look for real life. (It&apos;s way more interesting and creative to me than all those models who go Kardashian when they&apos;re off the clock, like Chrissy Teigen.) Georgia wore this right; barely-there makeup everywhere else, just soft lips in a slightly peachier tone. What I&apos;d change: She is beautiful no matter what, but I&apos;m not sure about the new bangs. Or maybe it&apos;s the shaggy texture. Riley Keough at the 2016 Humane Society Gala. 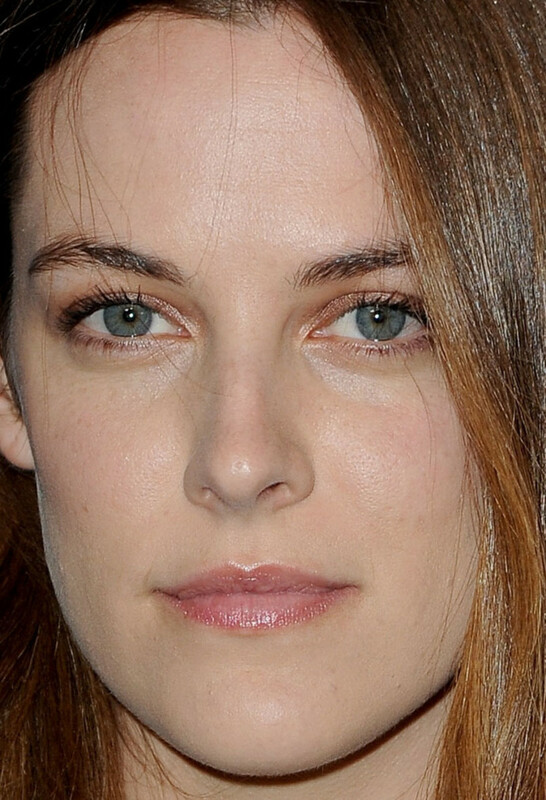 Close-up of Riley Keough at the 2016 Humane Society Gala. What I love: Sometimes, your hair can be the statement. That&apos;s what Riley is doing here—letting her gloriously shiny, healthy, reddish-brown hair speak for itself. (I don&apos;t know if that&apos;s her natural hair colour, but my goodness it is pretty!) She is wearing a sweep of matching shadow, upper lash mascara and lip gloss, but it&apos;s all very bare and fresh. More of this please, Hollywood people! What I&apos;d change: Nothing. Sara Foster at the 2016 Goldie&apos;s Love In For Kids event. Close-up of Sara Foster at the 2016 Goldie&apos;s Love In For Kids event. What I love: I almost passed Sara&apos;s pic by, until I zoomed in for the close-up. Holy beautiful lipstick! This is one of the most gorgeous reds, in one of the most gorgeous pressed-in textures. I also really like her eyebrows and how you can see all the individual hairs, not powder or pencil. 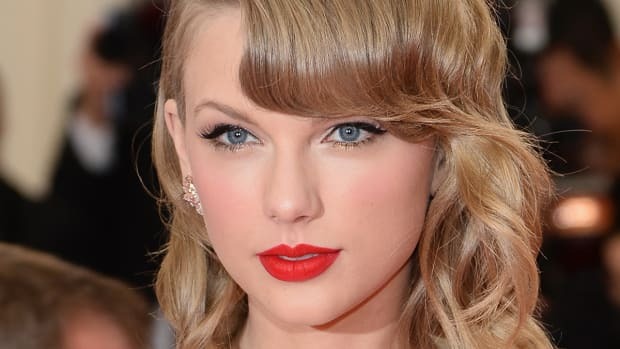 No false lashes or even liner—her pale greenish-blue eyes don&apos;t need anything more than mascara. What I&apos;d change: A little concealer around the inner corners of the eyes just to brighten.